Chinese authorities have drafted sweeping new regulations that would severely restrict religious content online, including images or even descriptions of religious activities from praying and chanting to burning incense. The move comes as Beijing tightens the screws on religion, especially for followers of Islam and Christianity. The new rules would only allow members of officially licensed organisations to post certain kinds of religious content, according to a draft document published online Monday by the bureau of religious affairs. Individuals would be forbidden from posting photos, videos and even text related to religious activities, or sharing links related to preaching. Organisations that break the rules could be shut down, the document said, but it did not detail penalties for individuals, beyond saying any violations would be handled "according to law". China's officially atheist government is wary of any organised movements outside its own control, including religious ones, and analysts say oversight of such groups has tightened under President Xi Jinping. 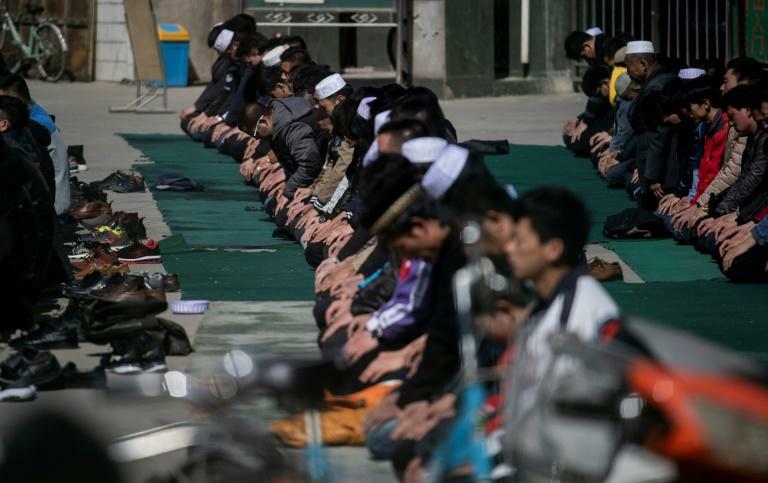 While Beijing officially recognises five religions, it imposes strict controls on how they may be practised -- regulating everything from who can attend services to what can be said by religious leaders. The regulations are intended to promote "social stability" and stop religious fraud, cults and appeals to "extremism", the document said. The propagation of religious information within China by any "overseas individuals and organisations" would also be banned. As written, the regulations could make it illegal to publish information about virtually any kind of religious activity -- even pictures from a wedding ceremony -- according to Jeremy Daum, an expert on Chinese law. "As they currently read, the measures cast the net far too wide," he said, adding that "even parts of traditional Chinese culture over which the Party is rightly proud will be excluded". The country's top leaders recently called for religious practices to be brought in line with "traditional" Chinese values and culture, sparking concern among rights groups. State supervision of religion has increased in a bid to "block extremism", and in areas with significant Muslim populations authorities have removed Islamic symbols, such as crescents, from public spaces. In the far-western region of Xinjiang, Uighurs and other Turkic Muslim minorities are harshly punished for violating regulations banning beards and burqas, and even for the possession of unauthorised Korans. Up to a million minorities are believed to be held in extrajudicial re-education camps in Xinjiang, rights groups say. Many of them were detained for posting "extremist" religious content -- everything from Islamic State group videos to holiday greetings -- on social media.